IN THIS TOGETHER. Ann Romney. Macmillan Audio. In this memoir, Ann Romney tells the story of her life in blunt and honest terms, showing us that even the privileged and the rich are tested. When Ann met Mitt Romney and married, she was living a fairy tale – true love, plenty of money and her piece of the American dream. It continued that way until she was diagnosed with multiple sclerosis in the late 1990s. Unprepared for this true game changer, Ann struggled with the thought of what she would become if she lost the use of her legs. Even though her husband worked to provide an unyielding foundation (we’re in this together), she fought with the fact that the dedicated caregiver had suddenly become the needy patient. In This Together artfully gives a voice to the concept of faith as Romney chronicles how a woman in full public view worked to maintain her independence in the face of a potentially crippling disease. Read by the author in a compelling “take no prisoners” performance. 7.5 hours on 6 CDs. NEVER ENOUGH. Donald Trump And The Pursuit of Success. Michael D’Antonio. Macmillan Audio. This biography of Donald Trump draws on interviews with those closest to him, telling the story of one of the wealthiest and most powerful businessmen in the world who ultimately is not content with his riches. Instead, he wants to rule America and he’s launched a campaign for the U.S. presidency. Never Enough sets out to tell us why. Read by Eric Pollins. On 13 CDs. FURIOUSLY HAPPY. A Funny Book About Horrible Things. Jenny Lawson. Macmillan Audio. This is a ground-breaking book: here, Lawson delineates her battle with mental illness via levity. An admittedly risky venture culminates with stunning results as we come to examine our own flaws in the process. 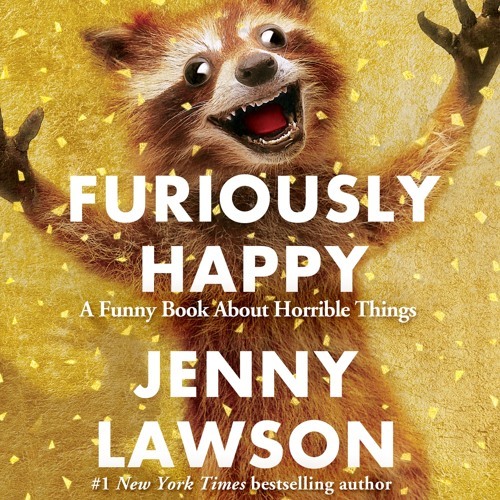 Furiously Happy is an important work worthy of your sustained attention. Read by the author. 8.5 hours on 7 CDs. This entry was posted on October 19, 2015 by Jacob Aiello in 2015, In the Spotlight, October 2015, Rat On Audiobooks and tagged Audiobook, Book Review, Macmillan Audio.